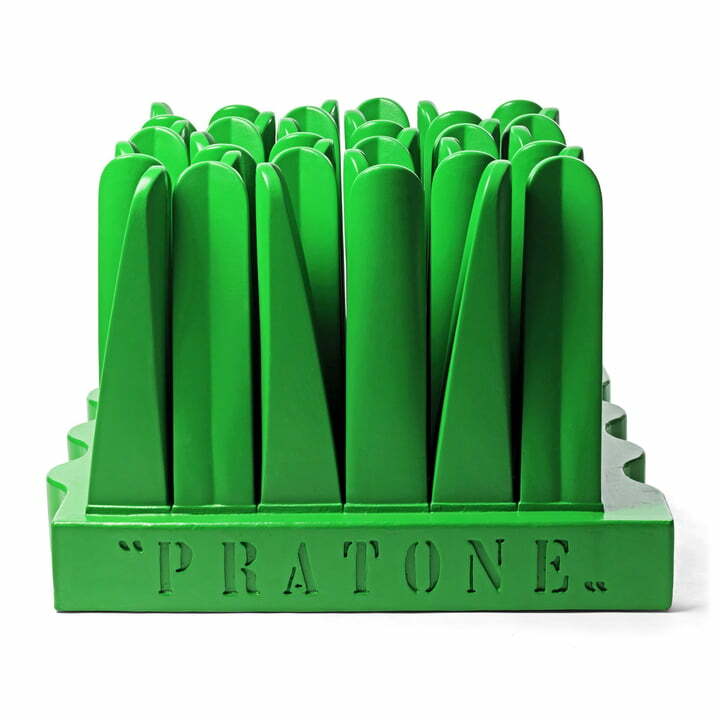 Pratone is Italian for "big lawn", and this is certainly an appropriate name for this unique chair sculpture born in the 1960s. 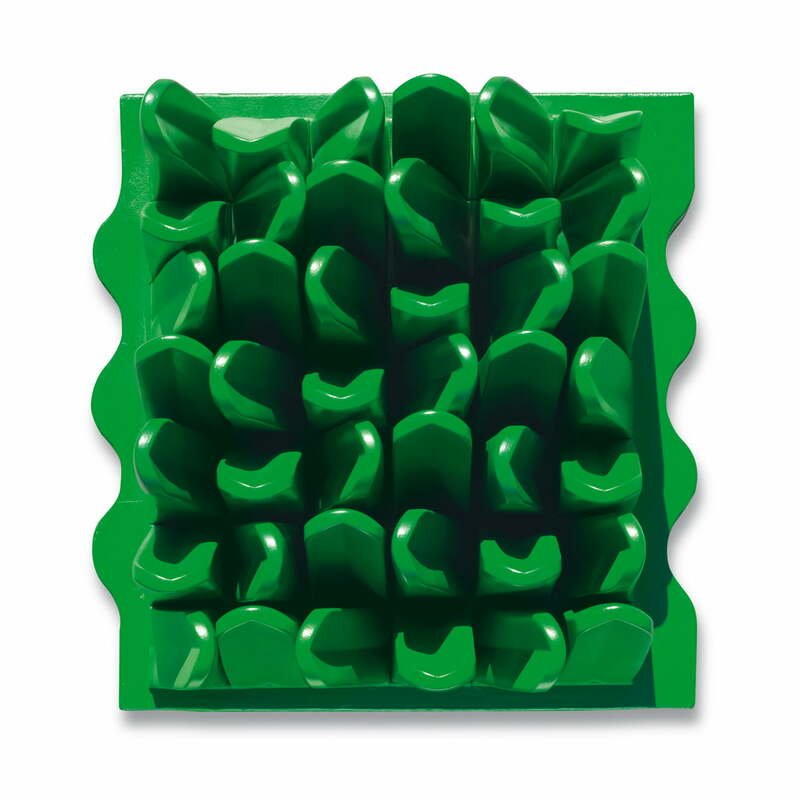 The blades of grass are flexible, making the piece suitable for lounging, hiding, and playing. The curved sides of the base also allow multiple Pratone pieces to be placed side by side for an extravagant domestic jungle playground. There is a stark juxtaposition between the natural subject of the design - long, green blades of grass - and the artificial varnished foam used in production. The piece is much more than a simple lounger, it is truly art. Pratone invites viewers to offer their own interpretations as to its meaning, with Vitra Design Museum suggesting that sitting on the lawn may be "intended as a lost idyll or [...] ironically as an outdated utopia". As part of the hippie movement in the 1960s, Pratone is symbolic of a longing for closeness to nature. The material used - polyurethane foam - was first introduced to furniture design in the mid-60s and caused waves. Pratone is possibly the best example of the material's unique qualities being utilised consciously and overtly in the world of design. 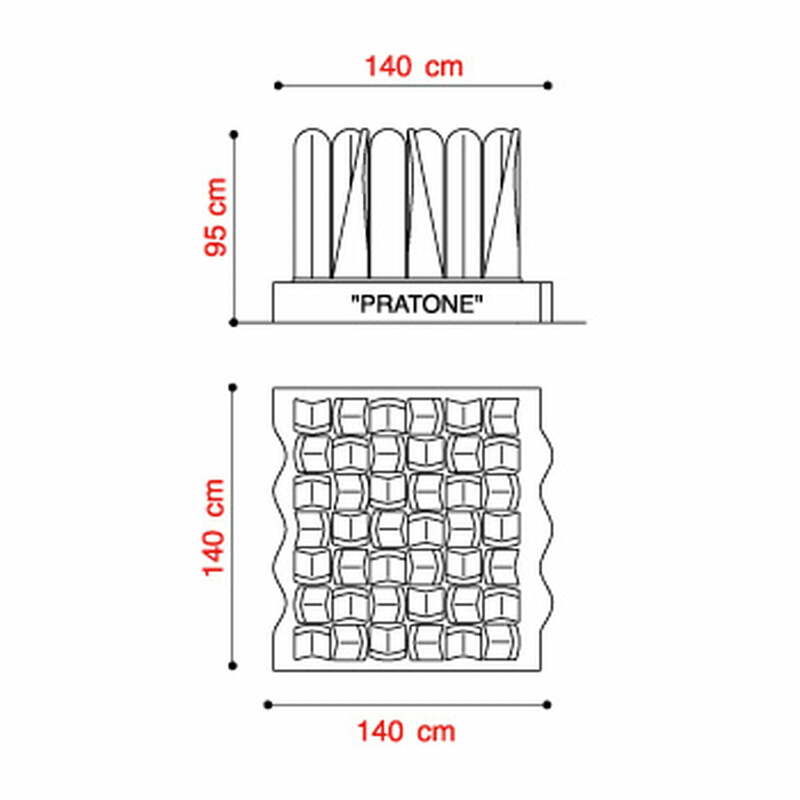 Originally designed in 1966, production of Pratone first began in 1971 by Italian company Gufram. By 1996, around 60 pieces had been produced, including many that were bought by museums and galleries. The object, seat, and lawn furniture Pratone by the Gruppo Strum (G. Ceretti, P. Derossi, R. Rosso) was designed for Gufram and gives you room to relax and dream between the large blades of grass.